As a procurement professional, you have come across maverick spend many a time. What do you think about why it is maverick spend and what is the justification to label a certain category of spend as maverick? In this article, you’ll learn about Samuel Augustus Maverick who in the 1800s, after studying law, settled as an important land-baron and a politician taking charge of the city of San Antonio in Texas as a mayor. One of his debtors offered 400 cattle instead of the money Maverick lent him. Maverick accepted the offer although reluctantly. What he however never bothered to do is—label his herd to assert his ownership—as was prevalent among other ranchers. When the cattle reproduced, the count increased but because there was no labeling, the other ranchers got confused. In colloquial America, this trait of not labelling came to be known as ‘maverick’: basically a calf without label. Samuel Maverick had reasons not to bother labeling his cattle as he felt that the process of imprinting ownership on the cattle skin was painful, but what reason do you have to not keep track of your maverick spend in procurement? In simple words, maverick spend is the purchase of goods/services from suppliers beyond a company’s pre-established procurement policy. In such situation a company does not benefit from supplier credibility and discount besides its vendor relationship being affected through unethical business practices. Errors happen when visibility is low. Control maverick spend through greater spend visibility. Visibility into spend is the first step to prevent it from going maverick. An idea of what cost maverick spend incurs in a company and areas where such maverick spend is rampant, can help one take charge of the situation. A spend analysis audit can help one identify loops across spend data categories thereby helping one understand the kind of action plan required to implement. 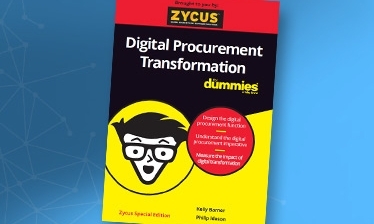 One of the major triggers for employees to settle for out-of-procurement practices in terms of purchasing goods/services is the time consumed by obsolete technology; eProcurement software that’s intimidating and not user-friendly. They are also ignorant of the cost involved in invoice and payment processing or expense reimbursement. Here, procurement professionals need to educate the employees about the procurement process and “WHY” they should adhere to existing procedure. Regular sessions like that will help reengineer the overall purchasing behavior of the company. As discussed in the previous point, the fact that if a company does not have a user-friendly e-procurement system in place, regular sessions will reap little results and not be fully effective. To solve this, look for easy-to-use eProcurement solution that encompasses both direct and indirect spend and seamlessly integrates with an existing ERP. In a situation like this, employees won’t complain about lack of information at the right time. It is important to note that while it is a procurement professional’s responsibility to design an exhaustive sourcing procedure, spend management is a shared responsibility wherein every individual within the organization should be aware of the expense in their area; person who does the transaction, the volume of out-of-supplier-network purchase, etc. For employees to be aware of available discounts is also the key to prevent paying a full price elsewhere. Here are three additional measures to implement check on maverick spend. Companies are gradually eliminating the usage of P-cards as such transactions are difficult to monitor. Procurement function should convene a meeting to decide on this aspect. Standardize supplier onboarding procedure and limit access to indiscriminate onboarding of new vendors. Place a C-suite approval metric for all non-contract and out-of-supplier-network expenses. It wasn’t too long that the Texan ranchers could guess why Samuel Maverick was reluctant about labeling his cattle despite the fact that the ranchers got their count confused. In fact, Maverick asserted that the ones without labels can automatically be considered his herd. But in the business of procurement, we cannot leave things to assumption and let expenses happen at anybody’s whim. In fact, it is not only money that becomes a concern, maverick spending also flouts many public and governmental regulations, causing the company a loss of fortune. The methods suggested in this article are therefore the ways by which a procurement professional can track and tackle challenges that employees experience during any purchase program.